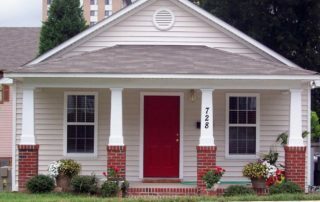 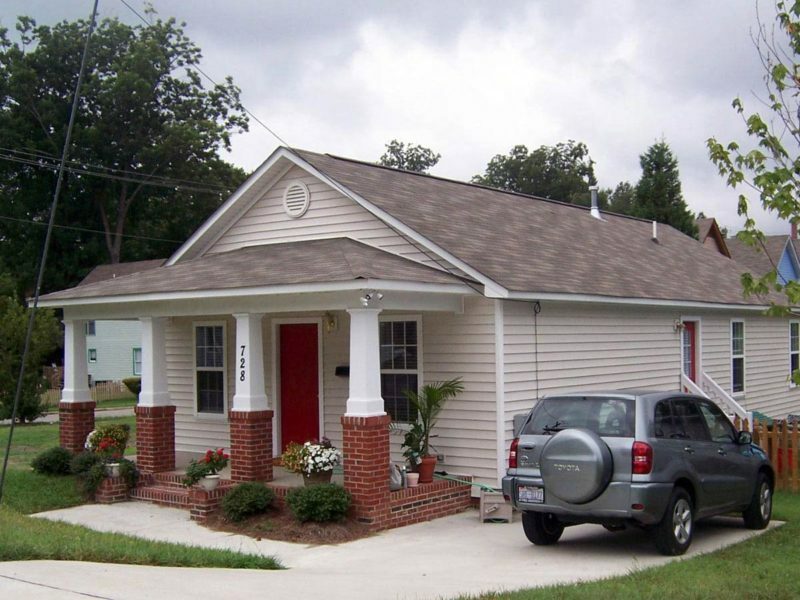 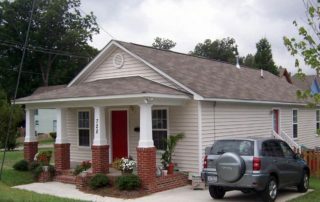 This single story bungalow style house of 1205 square feet features a large open living and dining area with optional vaulted ceiling and a private master bedroom suite, and includes a total of three bedrooms, two full bathrooms and a laundry area and U-shaped kitchen with a breakfast bar pass-through that opens to the dining room. 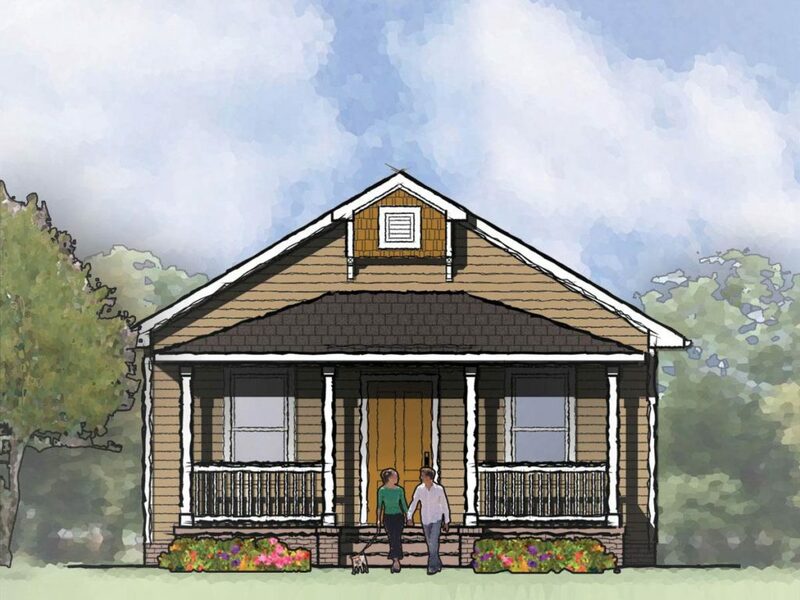 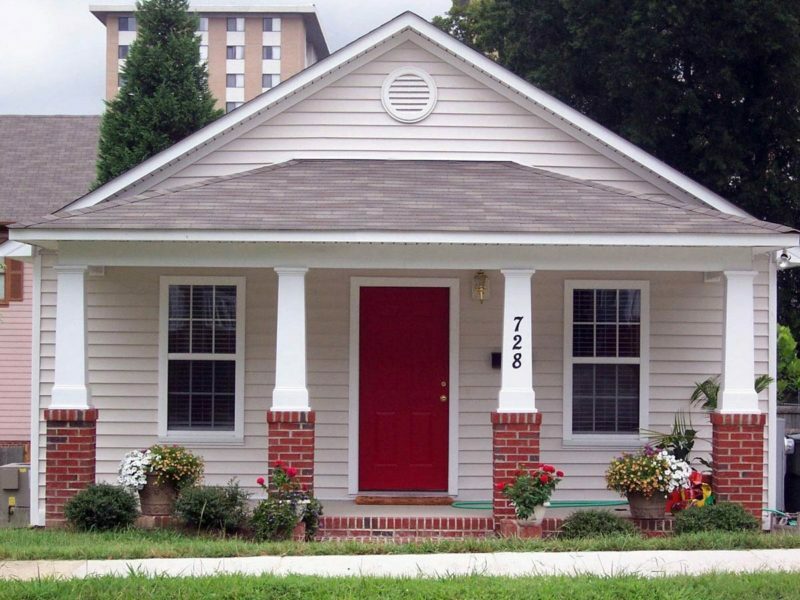 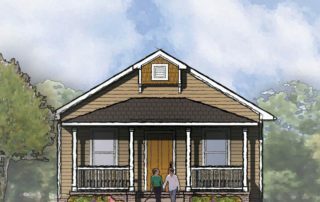 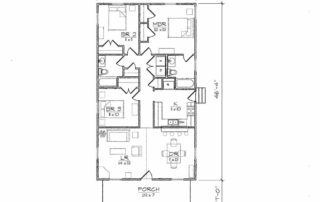 The Craftsman inspired exterior offers a gabled roof, large covered front porch. 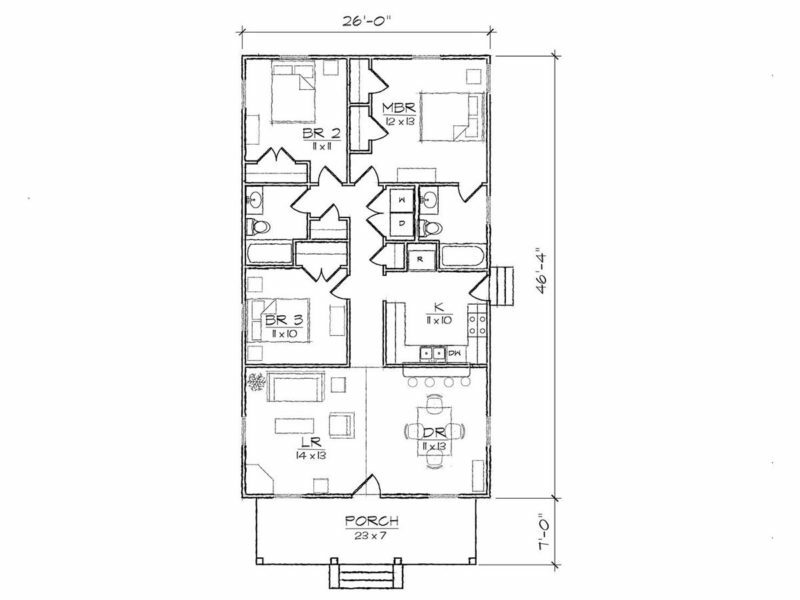 At 24 ft in width, it is ideally suited for a narrow lot.